While this may reduce delay in a few extreme cases, it may more universally deny the parties the certainty of their legal rights and responsibilities in connection with the election. 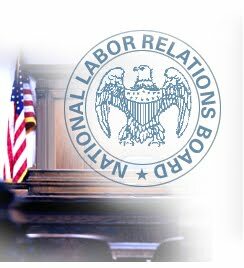 One troubling possible example that comes immediately to mind is an employer not knowing whether an individual in the proposed unit is legally a “supervisor” under the NLRA until after the election. Anything that employer says to that individual during the pre-election period might generate employer liability if the individual is ultimately declared non-supervisory. On the other hand, anything that individual says to employees might generate employer liability if the individual is ultimately found to be a supervisor. The chilling effect on an employer’s rights to communicate with and direct its workforce during the pre-election period is obvious. Not only does the Board intend to cut down the average time between union petition and election, but it also intends to “make such other amendments as may be needed to effectuate the purposes of, or conform the remainder of the existing rules to, the amendments [the Board intends to pass].” Do you have any idea what that means? Me neither. You can read more about the anticipated rule changes here. And if you are interested in how these new rules may effect your workplace, you can click here and stream the meeting that Board will hold at 2:30 PM today.